Albania, 1991: The Communist government falls and Leda, an ordinary Albanian girl, hears about Jesus Christ for the first time. Over the years that follow Albania will see many changes and Leda will have to question what she believes, and why. When Albania plunges into the violent Chaos of 1997, Leda and her best friend Suela find themselves on the run together. 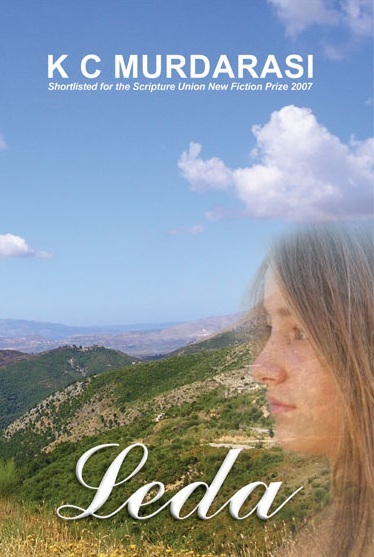 Alone in the wild mountains between Albania and Greece, Leda will be forced to rely on only her faith. Will her God come through when it matters most? The novel Leda (under its original title of Over the Mountains) was shortlisted for the Scripture Union New Fiction prize. It is suitable for readers of about ten years upwards and would make a great gift or Sunday School prize for tweens / young teens. It is also interesting for people of any age who want to know more about the recent history of Albania. It is fictional, but the background detail and general themes come from my experience of living as a missionary in Albania. You can see a review of Leda on the Baptist Union of Scotland website, as well as on its Amazon page. Leda is available from libraries in Glasgow, Sheffield, Hillingdon (near London) and some other locations. Check with your local library – they may be able to order it for you if they don’t have it. Leda is also available as an ebook on Amazon, at the price of £2.65, and on iTunes and Kobo for around £2.99.